After spending his previous four Diwalis with the Armed Forces, Prime Minister Narendra Modi is breaking with tradition and spend Diwali this year in Kedarnath, setting off speculation that the decision was taken with an eye on the 2019 Lok Sabha elections. As the Festival of Lights is on us, here’s looking back at Modi’s Diwali celebrations. 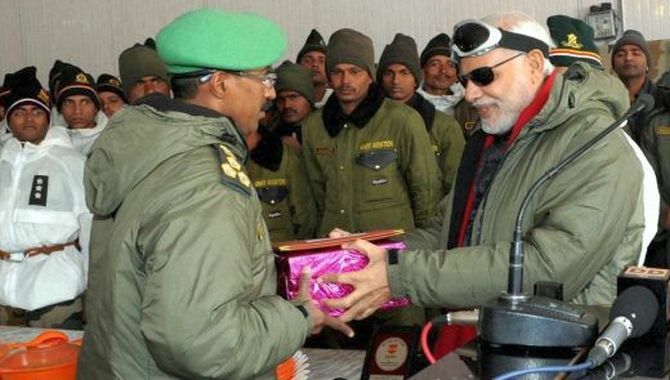 Shortly after coming to power, Narendra Modi became the first Indian prime minister to spend Diwali at India’s coldest and highest battlefield, the Siachen glacier, with our brave jawans. 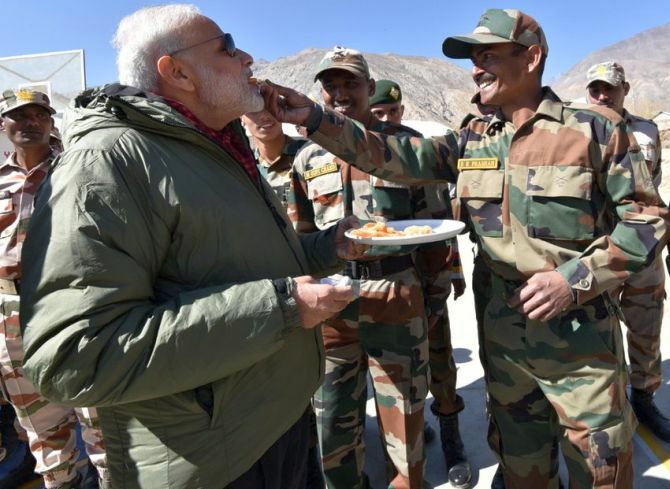 The PM spent an hour with the soldiers at a base camp situated at a height of over 12,000 feet. 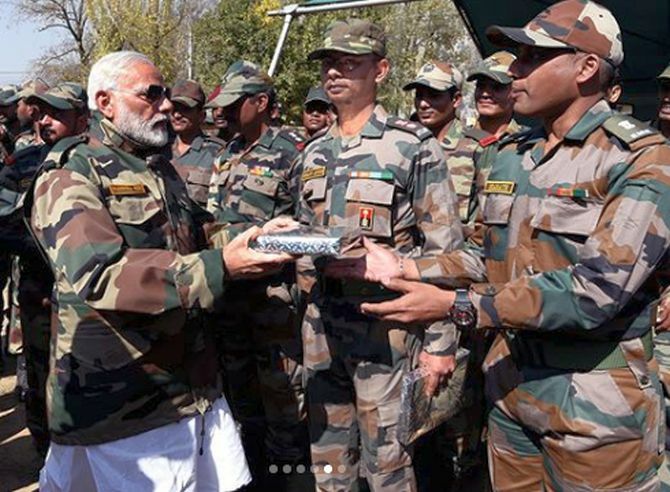 On his surprise visit to meet the troops, Modi had said, "I have specially come on the occasion of Diwali to be with you. I am aware how it feels like to spend Diwali with your family. The happiness is different, but you are so involved in the devotion to your motherland that your family is spending Diwali somewhere else and you are somewhere else guarding the motherland." 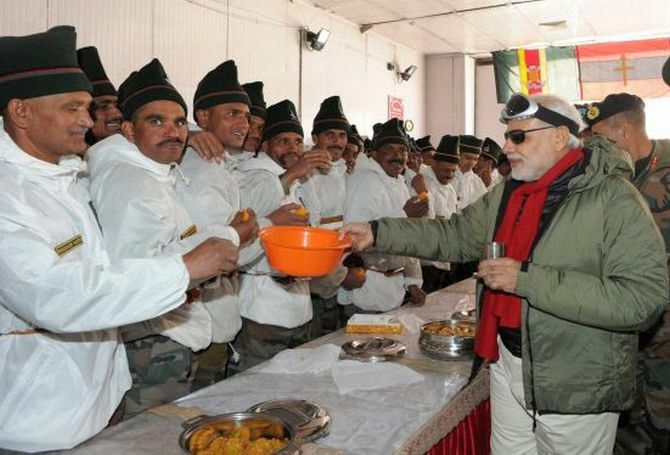 In 2015, Prime Minister Narendra Modi celebrated Diwali with the troops for the second successive year. 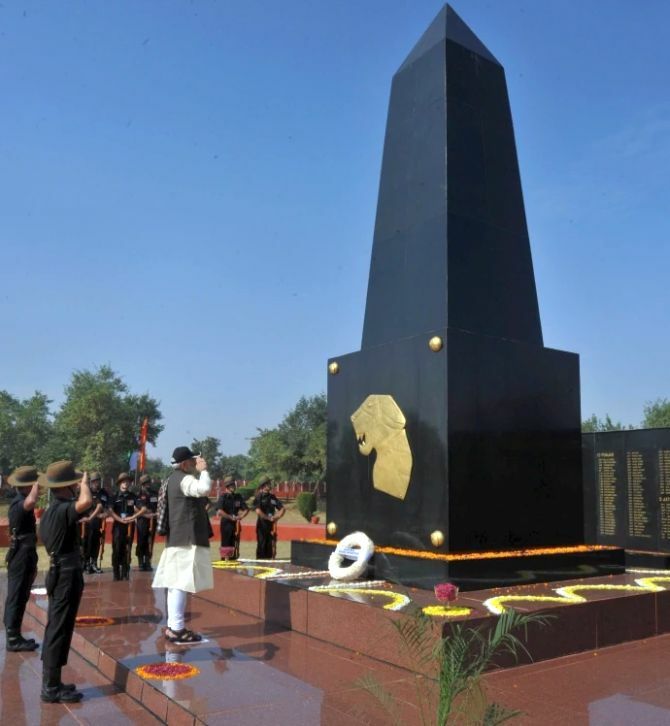 He visited the Dograi War Memorial in Khasa, Amritsar, and placed a wreath at the venue of one of the toughest battles fought and won by Indian forces on September 22, 1965. According to reports, Modi had made the visit without any prior intimation to to the civil administration, including the police, and the media. His visit came against the the backdrop of protests by a section of ex-servicemen over the “dilution” of the ‘One Rank, One Pension’ scheme. Several of the war veterans had returned their medals as part of their protest. Keeping with his practice, Prime Minister Narendra Modi met jawans of the Indo Tibetan Border Police, Indian Army and Dogra Scouts in Kinnaur district of Himachal Pradesh. 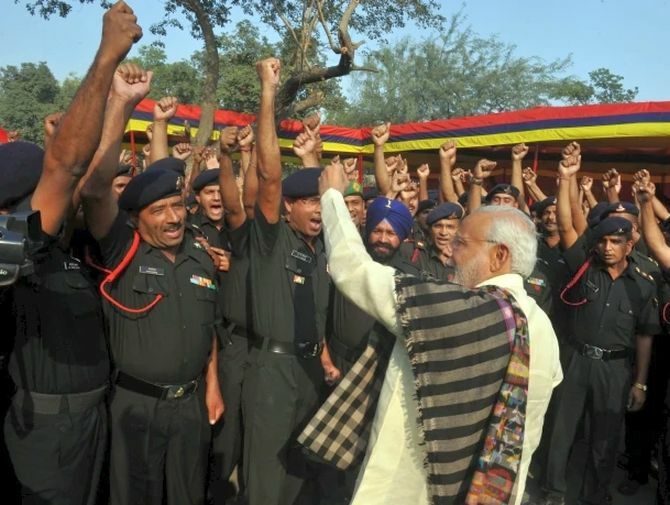 In 2016, Modi also launched the #Sandesh2Soldier campaign through which people could send their Diwali greetings and messages to soldiers guarding the nation's frontiers. Addressing the soldiers, Modi had said, "It's when you guard the border, people sleep without fear. If you were not there, people would not have been sleeping comfortably." Modi also made an unscheduled trip to a village, Chango, and said he was “deeply touched by the impromptu reception and their joy”. The PM also met personnel of the General Reserve Engineering Force, a wing of the Border Roads Organisation that maintains highways, at Sumdoh. In 2017, the PM took out two hours from his busy schedule and spent Diwali with Indian Army and Border Security Force soldiers posted along the Line of Control at Gurez in Jammu-Kashmir. Gurez is within shouting distance of Pakistan-occupied Kashmir and has witnessed many gunfights with infiltrating insurgents in the past 27 years. 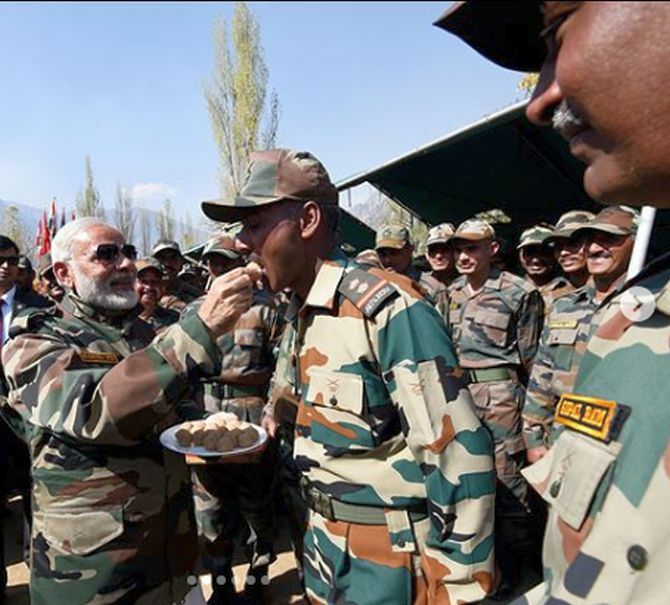 Modi offered sweets to and exchanged greetings with the jawans. The PM said he receives new energy when he spends time among the jawans and soldiers of the armed forces and appreciated their penance and sacrifice amid harsh conditions.